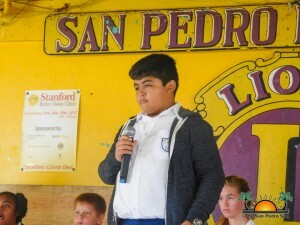 Jordan Rubio of the San Pedro Roman Catholic School (SPRCS) is the winner of the annual Coca-Cola Spelling Bee Zone 5 Eliminations held on Thursday, February 15th at the Lions Den in San Pedro. 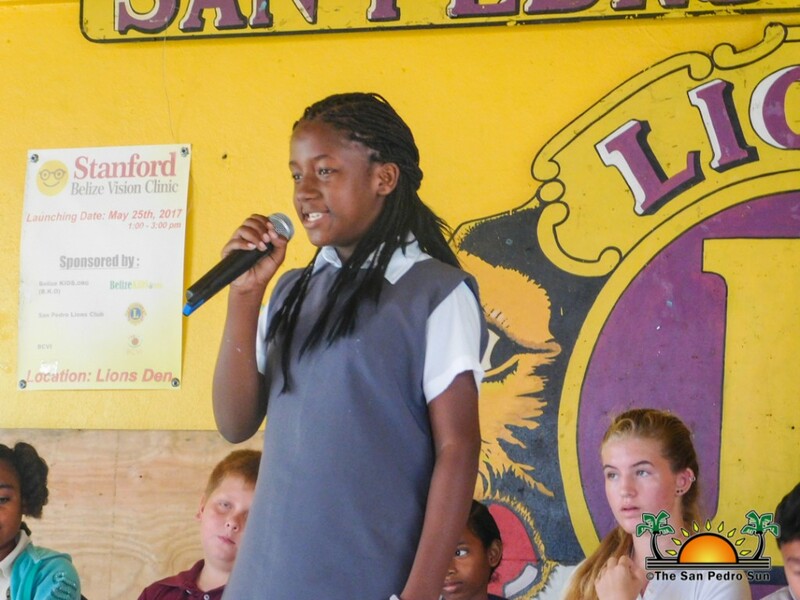 The competition saw the participation of 12 students from various schools including: Alexis Lawrence and Luis Olivera from Ambergris Caye Elementary School, Flora Choc and Karina Sotz from Caye Caulker Roman Catholic School, Jhiaha Thompson and Reanna Cuthkelvin from Holy Cross Anglican School, Michael Estephan and Terence Keating from Isla Bonita School, Adriana Briceno and Aleah Moreira from New Horizon Seventh Day Adventist school, Jordan Rubio and Austin Castro from SPRCS, Mackenzie Turley and Gabrielle Alexander from The Island Academy, Erwin Reynolds and Melina Choj from La Isla Crainosa Academy. 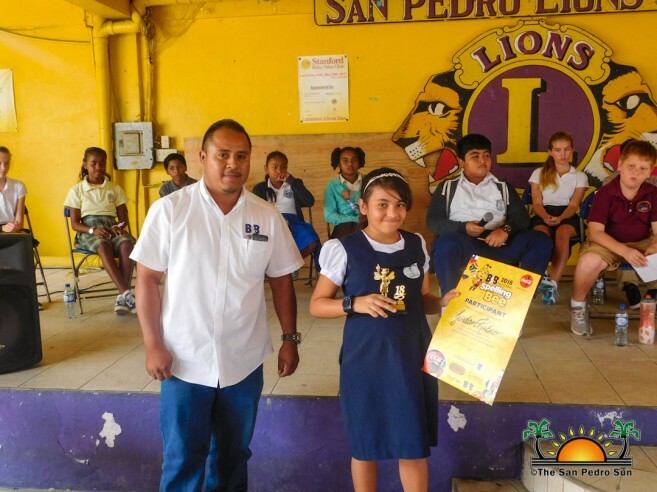 The annual spelling tournament was organized by Bowen & Bowen Limited, Ministry of Education Youth, Sports & Culture and the San Pedro Town Council. 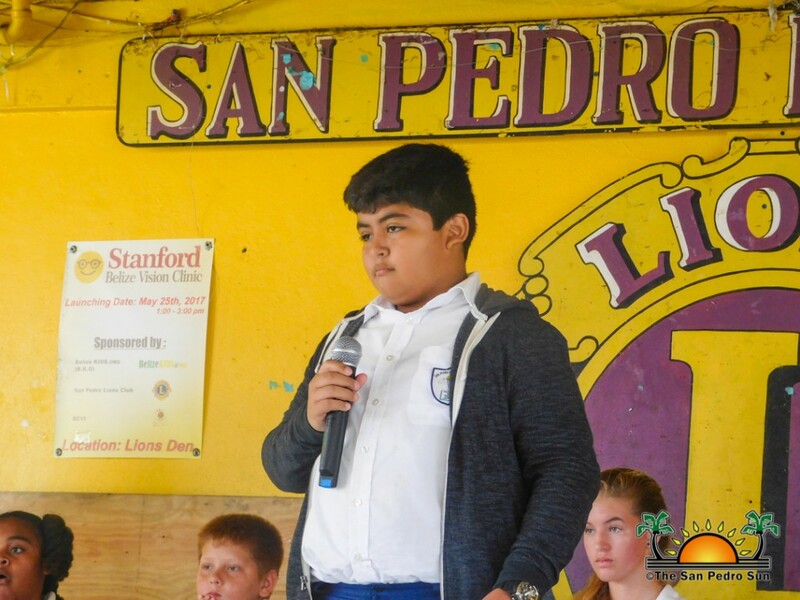 The event started at 9:30AM, with Master of Ceremony Jorge Aldana welcoming everyone and introducing the participants and officials of the competition. 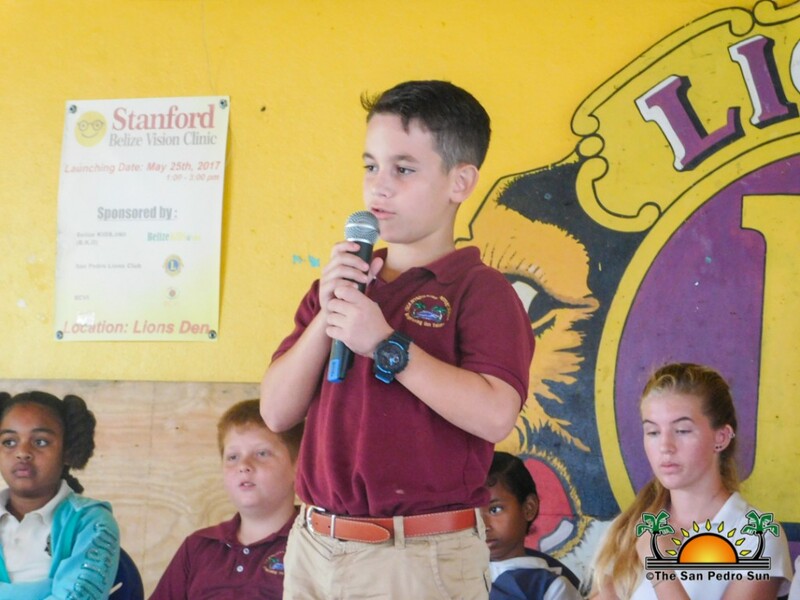 This was followed by the singing of the National Anthem by New Horizon School and a short invocation by Ambergris Caye Elementary School (ACES). Isla Bonita Elementary School then delivered the Welcome Address. Thereafter, the competition began, with participants receiving two words per round from the general list, with a total of 5 points to be gained for every word spelled correctly. 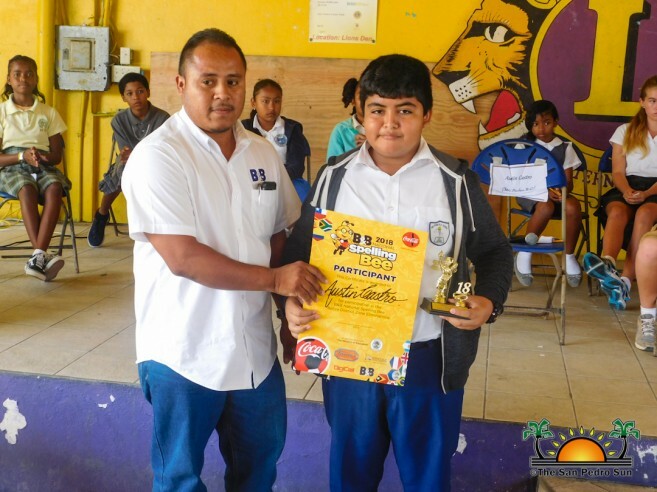 After two rounds, only the participants with the highest score, 20 points, were able to advance to the next rounds, wherein each correctly spelled word from the reserved list was valued at 10 points. 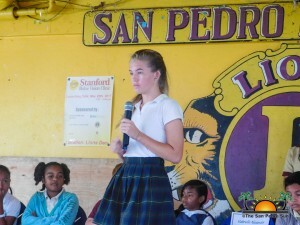 After three intense rounds, only three participants were able to make it to the final round. 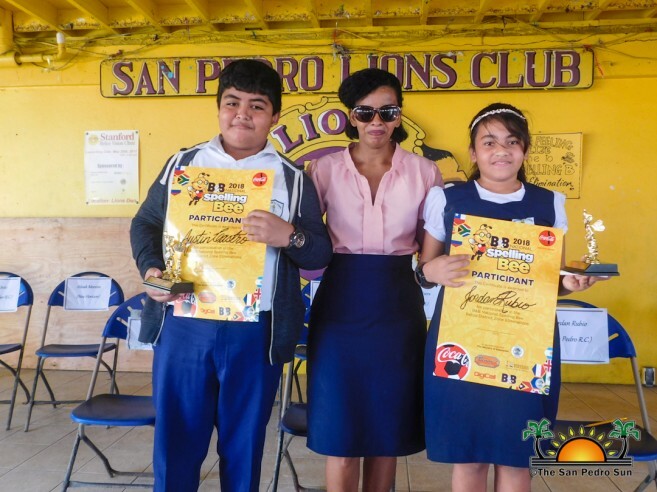 The top spellers for the day which were Jordan Rubio, Austin Castro, and Terence Keating. 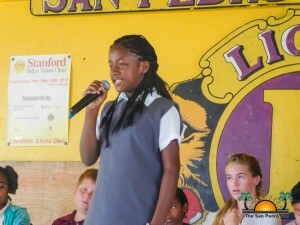 With no one gaining any points in the sixth round, the competition continued. It was until round seven that Rubio managed to claim the first place prize for spelling the word “lythe” correctly. SPRCS’ Castro placed second, and Keating from Isla Bonita Elementary School placed third. 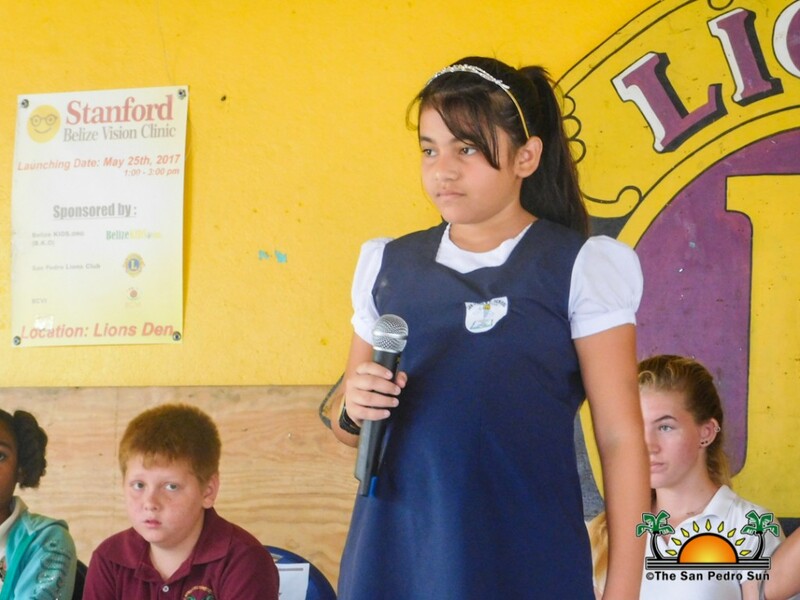 The top two winners, Rubio and Castro will be representing Zone 5 at the District Eliminations in Belize City. 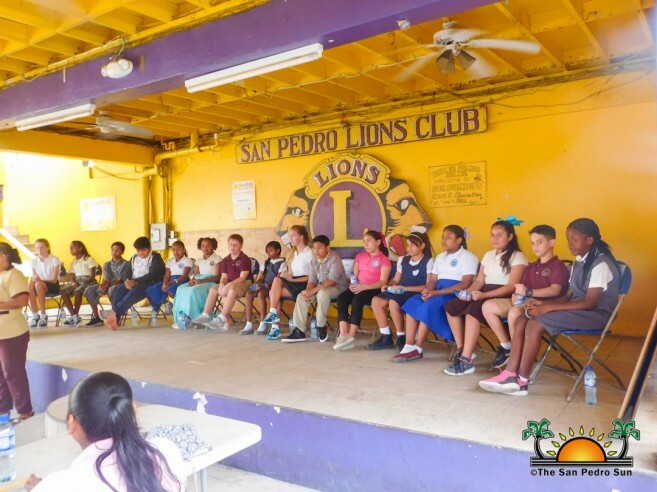 The San Pedro Sun congratulates the participants and wishes the winners the best of luck at the district finals, which will be held at a date to be announced later.